Volkswagen currently has total of 19	car models in India. Volkswagen Cars price starts from ₹ 3,50,000 . Click on the below images to see the details of each models. Volkswagen could be termed as the colossal figure of the automobile industry with famous acquisitions throughout its history – the Audi, Skoda, Porsche, Lamborghini, Bentley and so on. 'Gesellschaft zur Vorbereitung des Deutschen Volkswagens mbH', founded in 1937, has been Europe's largest carmaker for decades. Volkswagen is there in all the five continents with its headquarters being based at Wolfsburg. The epitomic German is the largest automaker all across Europe. Around 20% of the cars manufactured in Europe are made from Volkswagen's plants. 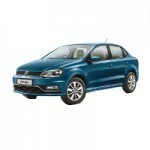 Volkswagen makes small cars as well as luxury cars. The German could be called as the biggest and largest ever in the history of automobiles. Already Own a Volkswagen Car? * Volkswagen may not sell all the car listed here in all showrooms. 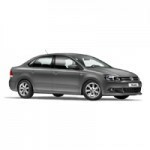 Price of Volkswagen car listed here are dealer price only not the on road price of the car. Volkswagen car pictures are for representation purpose only. 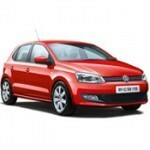 To book and know the on road price of any Volkswagen car click the buy now button. I am interested in ground clearance of the car.coz my office is situated in industrial area on the hills.uneven and rocky roads. I think its price around 600000 in diesel version then its good.otherwise it fails. Hello All, I heard from very popular car service centres that volkwagen vento is very good vehicle but services is very difficult to get if any problem arises. is it true?